The Abs Company specializes in the design and production of abdominal exercise equipment. We are obsessively focused on providing ab products that are user-friendly, fun to use, and highly effective. The company’s founders have over 100 collective years in the fitness industry as health club owners, professional fitness trainers, and successful product inventors. The Abs Company innovation process begins with product design and conception and doesn’t end until our fitness equipment ships out of the warehouse. Our designers create machines with intelligence and simplicity. We mesh design with engineering and make sure they work together to create unique and high quality abdominal equipment. All of our equipment has little to no adjustments. Users just get on and follow the intuitive motions to achieve a core workout second to none. The Abs Company wants the best for your facility’s members. That’s why we create premium quality abdominal exercise equipment to help them strengthen their core. We focus only on abdominal training equipment and are not distracted with other products such as cardio or weight training. Our abdominal fitness equipment is designed to deliver unparalleled results for exercisers ranging from first-time users to professional athletes. 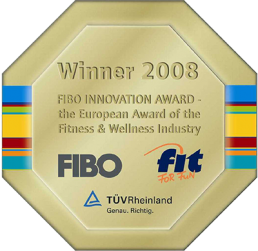 The Abs Company was awarded the FIBO Innovation Award. The distinguished European award of the fitness and wellness industry.